On September 21, 2010, I attended the Canadian Study of Parliament Group’s Fall Seminar on Question Period Reform. The event included two panels and Speaker Milliken, Michael Chong, and C.E.S. Franks as guest speakers. The Public Policy Forum held an event on the same subject the week before but doesn’t seem to have produced anything substantial. Michael Chong first introduced a motion in the 40th Parliament aimed at changing the format of the daily Oral Questions, or Question Period (QP). The motion died upon dissolution, and the papers reported earlier this week that Chong will re-introduce the motion in the current 41st Parliament. Even though this conference took place last year, I still insist on blogging about it, a) because I didn’t create Parliamentum until this past summer but would have blogged about the event at the time, and b) because the topic is still pertinent to the 41st Parliament and the general discussion. I will summarize the salient points of each presentation. As I mentioned in “The Myth of Civility and Decorum in the British House of Commons”, I consider the issues of civility in parliament and the effectiveness of Question Period separate. Speaker Milliken tried to assure that debate in Question Period remains civil and takes place at a normal volume. However, he explained, participation in QP is determined by the caucuses and their whips. During the 1970s, the Speaker began using a list in an attempt to bring order to the House, based on a pre-arranged agreement between the whips and house leaders; these negotiations do not involve the Speaker of the House. Milliken claimed that he “follow the list vigorously” during his tenure as Speaker. I would argue that herein lies the problem: the whips and front benches control QP for the purpose of party as opposed to backbenchers as advocates of their constituents’ concerns and legitimate questions posed to ministers that support parliament’s core function: holding cabinet to account on expenditures. 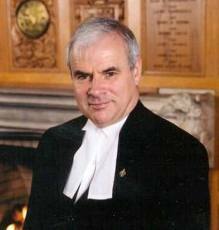 Milliken explained that in 1997, the House decided to limit the questions and answers to 35 seconds each; however, this convention and inter-party agreement does not appear in the Standing Orders. Theoretically, the PM could answer every single question in QP, so the Speaker has no authority to compel a particular minister to reply to a given question. Milliken insists that while the Speaker is responsible for overall decorum, he cannot be held accountable to a non-answer given in response to an Opposition question. Conservative backbencher Michael Chong put forward a motion on the reform of QP. He points out that 40% of Canadians refuse to vote in the 2008 election, which in his view undermines the role of Parliament as the primary formulator of all public policies. Frankly, Chong’s assertion that parliament creates public policy shows that he doesn’t understand parliament’s core function: cabinet – the government – formulates public policy, and parliament holds it to account and scrutinizes its expenditures. Chong continued in his reasoning that since most Canadians (rightly or wrongly) equate parliament with QP, and since MPs need to reconnect with the public, the first logical parliamentary reform depends on QP because the media and public fixate on this aspect of the parliamentary routine. Much to my chagrin, Chong then invoked a hockey analogy; I loathe when Canadian politicians and media personalities do this in an attempt to make themselves the every-man. He argued that MPs – especially backbenchers – have become spectators in the QP, and thus they act like spectators by jeering and cheering. Chong agrees with Franks that civility in Parliament never really existed – but he intends to move beyond this point and set a new precedent. In addition, Chong believes that the televised debates – which started in 1977 – did not cause this problem because Westminster and Congress televise their proceedings without the same acrimony of the Parliament of Canada. While Chong never characterized his motion as such, it essentially amounts to the adoption of the British system. M-517 contains the following components. (vi) dedicating Monday, Tuesday, Thursday and Friday for questions to Ministers other than the Prime Minister in a way that would require Ministers be present two of the four days to answer questions concerning their portfolio, based on a published schedule that would rotate and that would ensure an equitable distribution of Ministers across the four days; and that the Committee report its findings to the House, with proposed changes to the Standing Orders and other conventions, within six months of the adoption of this order. I reported on the intelligent portion of Shelia Copps’s comment in the previous entry. She also made some misleading statements and, perhaps unknowingly, suggested the destruction of the principle of responsible government, namely the part that the government is responsible to the lower house for all spending. Copps disagrees with Chong’s proposed reforms, especially the idea of the British rotating schedule, because, as she stated dismissively (and misleadingly): “ministers would love to only show up to work one day per week.” This is a deliberate over-simplification and mendacious misrepresentation because Ministers do most of their work outside the House in cabinet and cabinet committees, and running their departments and their constituency offices. Copps believes that Chong’s motion should become broader, which would of render it meaningless and useless. Copps advocates the destruction of responsible government and its replacement with a congressional system: she believes that parliamentary committees be able to propose and introduce legislation. I found this statement so patently ridiculous that I asked her to explain this comment during the question and answer session. I asked her something to the effect, “Why do you want parliamentary committees to gain the power to propose legislation, particular legislation that involves spending? Your proposal would violate crown prerogative.” Murmurs of agreement erupted throughout the audience. Shelia Copps responded craftily to my question by giving a politician’s non-answer for about three minutes! Franks also declined to comment. The British parliament runs on the timetable that cycles through every two to three weeks and covers the ministries separately, for instance: Monday, Home Office; Tuesday, Health; Wednesday, Wales, and Prime Minister’s Questions; Thursday, Environment, Food and Rural Affairs, etc. The Minister knows months in advance when he or she will have to answer questions in the House, and the Opposition knows when to submit questions. This informed dynamic produces a QT vastly different from our QP. The clerks at the table review the MPs’ questions first and screen out those unacceptable due to content or tone. Questions must be clear and concise and respect parliamentary language; the clerks offer advice to the MP on clarity and format, and the MP can petition the Speaker if unsatisfied with the clerks’ assessment. The content of the questions is restricted by several rules that Franks enumerated, such as bans on expressing opinions, asking about opposition policy, and hypotheticals. If the Speaker determines that a question is not in line with the national interest, then the question cannot be asked again during the same session. He can also rule both questions and supplementaries out of order. All these rules create a system in which the Opposition asks relevant questions and the Government gives pertinent answers – a concept completely foreign to Canadian QP! British Question Time focuses primarily on backbenchers, and the weekly Prime Minister’s Question Time focuses on the party leaders. The Speaker decides when the supplementaries on a question will end, which contrasts to the rigidity of the Canadian system. Canadian Question Period, in contrast, serves the front benches, and our questions are not vetted for clarity or parliamentary language; Peter Milliken’s remarks at the beginning confirm this dominance by the front bench. “Commons oral questions are tabled by MPs at least three days in advance of Question Time. The questions are then printed in the Commons Questions Book. The order in which the questions are asked is determined randomly by a computer. MPs who are called by the Speaker to ask their question do not read it out, but simply call out its number. When the government minister has replied, the MP can ask another question (known as a supplementary) and other MPs may also be called to ask supplementary questions. The Minister must reply to each in turn. Supplementary questions must be on the same subject as the original question. The last 15 minutes (for those departments with a 60 minute question time) or 10 minutes (for those departments with a 40 minute question time) of question time is reserved for ‘topical questions’. “In addition to oral questions, MPs and Peers can ask government ministers questions for written answer. These are often used to obtain detailed information about policies and statistics on the activities of government departments. In the House of Commons ‘ordinary’ questions do not have to be answered on a specific date. An MP will date a written question for two days after they have tabled it (ie, submitted it for answer via the Table Office). The convention is that the MP can expect it to be answered within seven days of the question being tabled. However, there is no parliamentary rule that states ordinary written questions have to be answered by a certain date. All House of Lords written questions follow a similar procedure. Lords enter questions on the Order Paper via the Table Office. Lords may table up to six questions each day and can expect an answer within 14 days. ‘Named day’ questions only occur in the House of Commons. The MP tabling the question specifies the date on which they should receive an answer. The MP must give a minimum of two days’ notice for these types of question. MPs may not table more than five named day questions on a single day. Questions originally tabled for oral answer that do not get answered at oral question time are submitted to the government department as named day questions. Answers are sent directly to the MP or Lord and printed in Hansard along with the original question. Occasionally Commons questions are answered in Hansard with ‘I will write to the Hon Member …’ The subsequent letters are not published in Commons Hansard but placed in the House of Commons Library for MPs’ use (but the House of Commons Information Office can supply copies of these). The current Canadian format of Question Period eats up a significant portion of all the Minister’s schedules, as Michael Chong pointed out, which frankly wastes their time and detracts from their running their departments and tending to the other cabinet duties. Our ineffectual system also fails parliament in its core function of holding the government to account. I can only conclude that if we want to reform our Question Period, rather than devising a new system, we should simply adopt the British system, which has proven far more effective, in full. The British method works and better complements parliament’s core function of holding the government to account, particularly through its emphasis on written questions and answers; in contrast, the current Canadian format rewards theatre and focuses on style over substance. This entry was posted in Question Period, Reform. Bookmark the permalink. Also, if Canada adopted the UK format of oral questions, we really would need complement that with Urgent Questions. Urgent Questions do exist in Ottawa (at least, the possibility of them), but they’re almost never granted (it’s the Speaker who decides). You’d need some mechanism in place to be able to question a minister on an urgent matter that might come up in between that ministry’s scheduled QTs. I did suggest the adoption of the British system in full, so I would include urgent questions in that. But I will look into this Ontarian system. But I’m not surprised that such a idea came from Ontario, After all, this is the province in which the Eves government introduced a budget at a Magna plant — an egregious violation of the constitution.